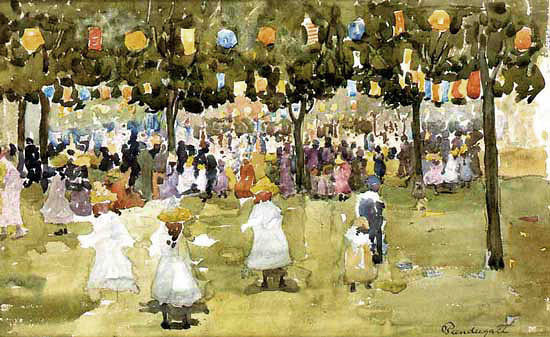 Master of watercolor and Post-Impressionist Maurice Prendergast (1858–1924) rendered a softer side of an otherwise boisterous holiday with his delicate and pastel-hued Central Park, New York City, July 4th, completed in 1903. Charmingly refreshing “Fourth” impression. Lovely pick!